Students may borrow items from the Closet for free and keep them for up to seven days. The Crimson Career Closet, located next to the main office in 3400 Ferguson Student Center, houses professional clothing that students and alumni can borrow for interviews and other job-related purposes. 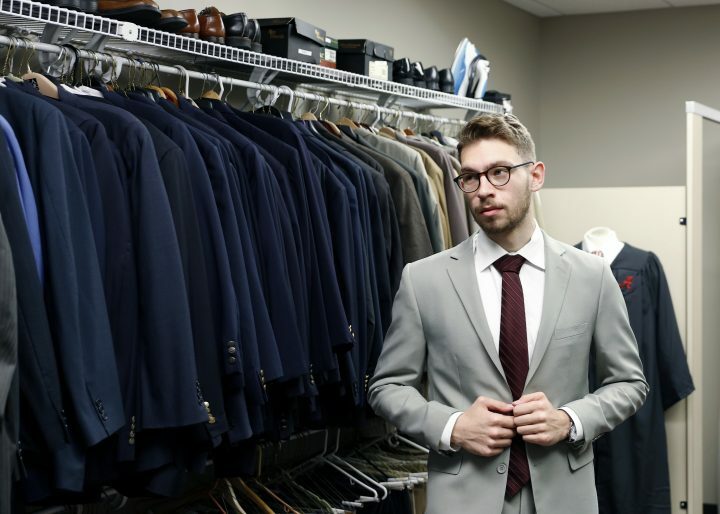 Students in need of business attire for professional occasions may borrow items such as button-down shirts, blouses, blazers, pants, skirts, ties, and suits. Up to four items can be checked out per visit. Items can be kept for up to seven days, and may be returned between 9 a.m. and 4 p.m. Monday through Friday. Students will be required to complete an attire rental agreement upon checking out clothes. Crimson Closet appointments can be made through Handshake or at 205-348-5578. Walk-in hours are 9 a.m. – 5 p.m.
Monetary donations are also accepted. If you are interested in hosting a clothing drive or fundraiser for the Crimson Career Closet, please call 205-348-5578.